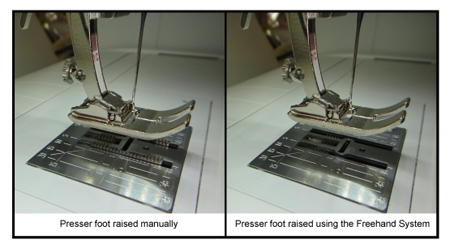 Faster Sewing: It has been proven that using the FHS will speed your sewing by 20%. Think of what you could do with that time – a trip to the spa, read a steamy novel, or sew more fun things! 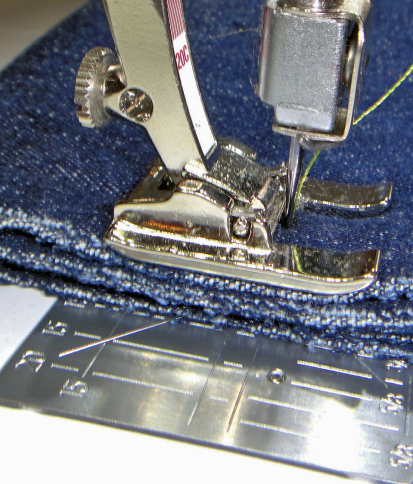 Using the Free Hand System, you can place twelve layers of denim under the presser foot! 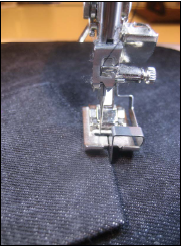 Exact Control for Sewing Curves and Corners: Pivoting with the needle in the fabric is the trick that gives sharp corners and smooth curves. 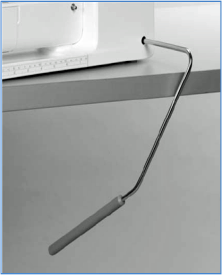 Leaning on the FHS when you need to makes it easy to pivot as needed without having to take your hands off of your project! 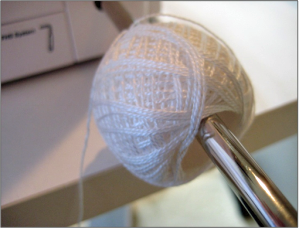 One more thing – When sewing with cord (for couching, corded pintucks, etc. ), the FHS makes a great home for the cord, letting it flow freely as it stitched.